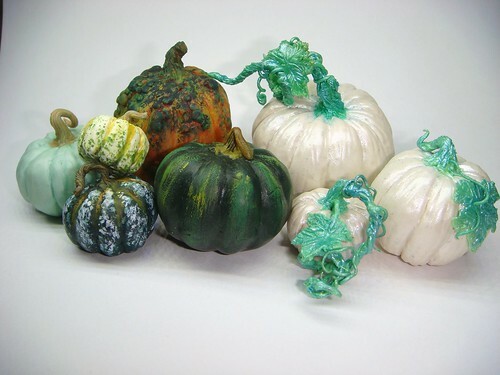 Craftster Community > POTTERY, CERAMICS, POLYMER CLAY > Polymer Clay: Completed Projects > Pumpkins! I have been having so much fun making these! 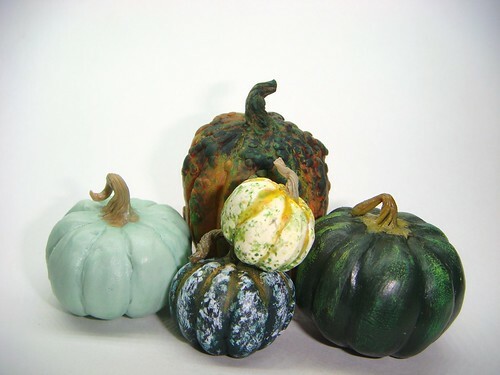 I have to make more pumpkins, gourds, and squashes! 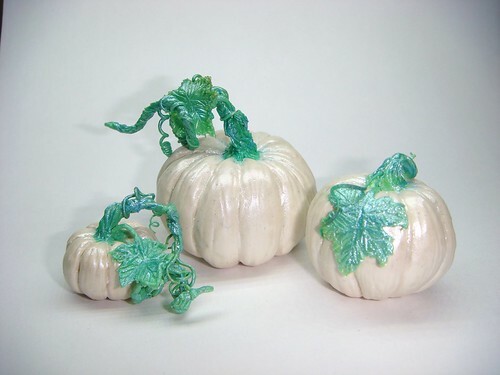 The largest pumpkin is two inches tall and the smallest is half an inch. They are sculpted from polymer clay. I painted some of them with acrylic paint to give them more detail. The white ones have been dusted with mica powder to make them shimmery. They look so real!!! Great job! Love the colors you used to make these. Oh wow, these are great! These are gorgeous! It's about time to start decorating with them again. I made a bunch of pumpkins this summer, and I have been meaning to make more. Here are just a few of the pumpkins and jack-o-lanterns I have made this year. Woah, these are gorgeous. The white shimmery ones -- SWOON!